Reuben’s Train | The Goose Is Out! 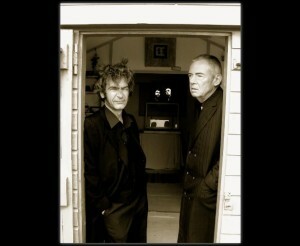 Reuben’s Train are Mick Watson – vocals, and Keith Osborne – guitar, banjo and vocals. “After a nerve-racking first performance at the truly wonderful Sharp’s Folk Club, they began to realise that audiences were having a hard time working out quite how to react, with one half laughing and the other half telling them to be quiet. Click here to go to Reuben’s Train’s website!